Keep the full flavor of your iced coffee, lemonade and other iced beverages by using ice cubes made out of your drink of choice, instead of water. Make extra of your drink, freeze it in ice cube trays and add to your glass. As they melt, your drink will still have all of the flavor it started with. You can also add a little fruity punch to sangria or seltzer water by freezing fruit juice and adding to your glass. For an extra boost of flavor, throw some cut up pieces of fresh fruit into the juice before freezing. It will be a nice surprise once the cubes start to melt. Fresh herbs are great for homemade meals, but they don’t stay fresh nearly as long as we’d like. Instead of tossing leftover herbs, extend their life in the freezer. Heartier herbs like oregano, sage, thyme and rosemary work best, and preserving them in olive oil reduces browning and freezer burn. Pack the ice cube trays with 2/3 herbs and 1/3 olive oil or melted butter. Cover your tray with plastic wrap and store overnight. 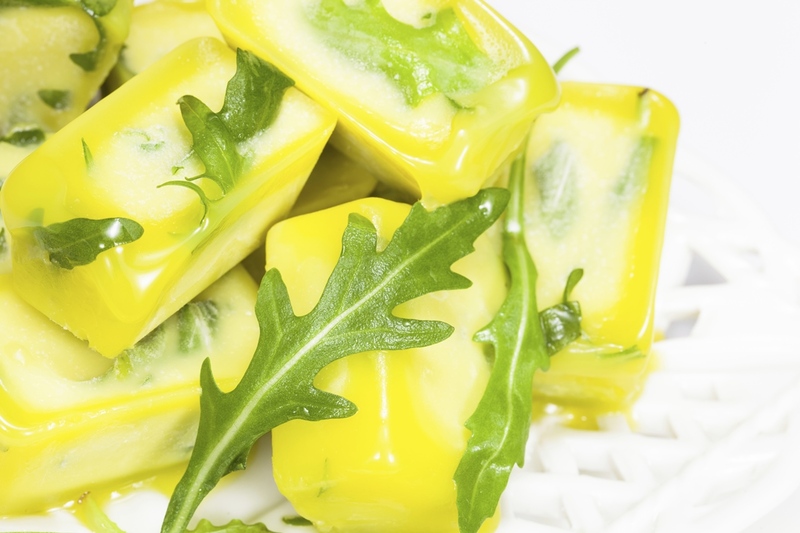 Once frozen, remove the cubes from the tray and continue to store in freezer bags – be sure to label! Now you have individual servings that you can defrost as needed. They can be melted down in a pan for a sauce or thrown into the crockpot to add richness and flavor to recipes. Did you uncork your favorite bottle of wine this summer and not finish it? 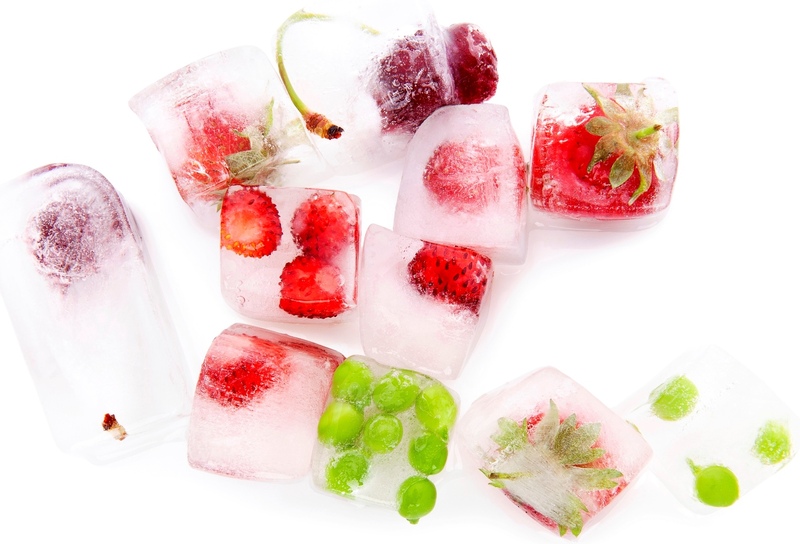 If you happen to have leftovers (and don’t plan on enjoying them in the next day or two), just fill your ice cube tray, freeze and add to sangria at your next barbecue, or pop out a wine cube or two for cooking in the future. Thanks for all your helpful hints. I do appreciate learning all these helpful tips. LOVE this idea of making extra drink and freezing it into ice cube trays. Genius! koolaid pops . Freeze koolaid in ice cube trays with a tooth pick in them. Yum. and don’t forget::: Homemade baby food! SO economical with Aldi’s fresh produce! This is so cool I can’t wait for this summer to be able to use this recipe . Old ice cube trays also work well for germinating your spring seedlings for the garden. Even the biodegradable egg cartons work perfectly!